Since online gambling became available in the state of New Jersey, players have had difficulty with depositing at the online poker and casino gaming sites. Financial institutions were wary of processing transactions which lead players to have difficulty when trying to make deposits to begin game play. The New Jersey Division of Gaming Enforcement has now announced that a new option has been created to help players with deposit options. A press release was recently made public by the DGE which spoke of a new credit card code that would aid in the depositing process at regulated online gaming sites of the state. The press release stated that a new credit card code has been created to assist with online gambling transactions and should be released by spring of this year. The DGE stated that as the banking industry becomes familiar with legalized iGaming and players are able to become more educated about the funding options for online gaming, further improvements can be expected in this area of online gaming. In the press release, the DGE also reported the Visa and MasterCard users have had difficulty when trying to deposit at New Jersey online poker sites. Visa transactions have a 73% approval rate while MasterCard transactions have a much lower 44% success rate. The new credit card code is expected to increase the percentage of successful transactions. Geolocation has also been an issue and the Division reported that they have continued to work with vendors of geolocation services to help enhance the connectivity with players located within the states borders. The geolocation rate currently sits at a 98% success rate and the Division continues to reduce the false negatives associated with geolocation. 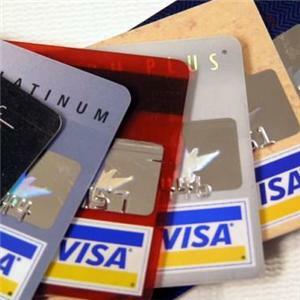 It will be interesting to see if the new credit card options will allow players to complete financial transactions at a higher success rate than previous methods. More information will most likely be released on this option as the release date grows near.